Boston has many wonderful waterfront parks, but the Esplanade is our favorite. The Esplanade stretches along three miles along the shores of the Charles River and comprises about 64 acres. 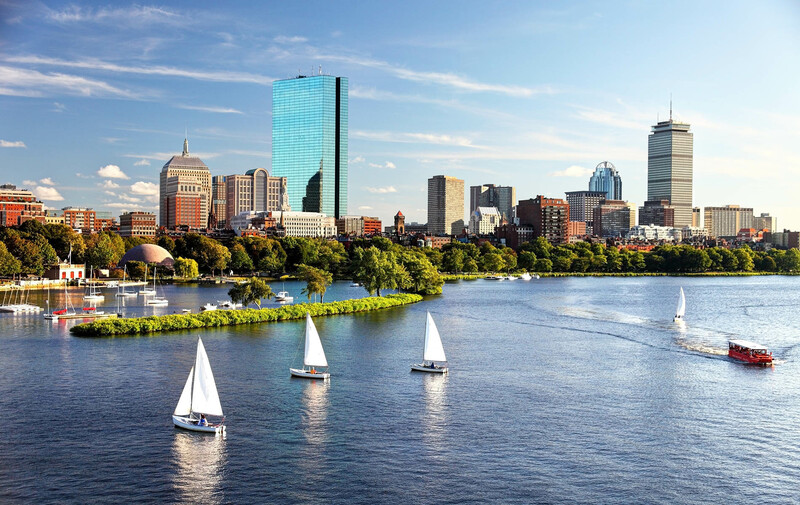 Mostly well known for the thousands of people who fill its green space for the 4th of July celebrations and the Boston Pop’s performances at the Hatch Shell, the Esplanade is also where generations of Bostonians have learned to sail. Starting in 1946, Community Boating has offered affordable and continuous sailing lessons on the river. Year after year people trek down to the boathouse pay a small fee and put on their orange life jacket and hop in little skiffs for one on one instruction on how to handle the mighty New England winds and current of the Charles River. There is an adjacent lagoon to the river that provides calmer waters for kayaking and paddle boarding and even the occasional gondolier. If water sports are not your thing, there are numerous places to sit and relax or go for a run. There is a paved path that runs the length of the river for those that want to keep moving. There are numerous events that are put on during the warmer months: movie nights, classical music, Earth Day and 4th of July celebrations and a host of other offerings that bring people down to the river. The Esplanade of today is a relatively new concept, it has come a long way since its origins as a odiferous mudflat. While the damming of the Charles River in 1910 was the most significant step in modernizing the parkland, it was landscape architect Authur Shurcliff who doubled the size of Esplanade in the1930s paving the way for the Esplanade we know an love today. Each year The Charles River Esplanade Association invests over $1 Million into the park’s maintenance and improvements.